Look at the Birdie is a collection of fourteen previously unpublished short stories from one of the most original writers in all of American fiction. In this series of perfectly rendered vignettes, written just as he was starting to find his comic voice, Kurt Vonnegut paints a warm, wise, and often funny portrait of life in post–World War II America—a world where squabbling couples, high school geniuses, misfit office workers, and small-town lotharios struggle to adapt to changing technology, moral ambiguity, and unprecedented affluence. Lincoln High School isn't big enough for two musical prodigies—or is it? When Selma Ritter snoops into the IQ scores of her two teenaged suitors, the numbers don't add up. But there are some aspects of genius that intelligence tests and scales can't measure. 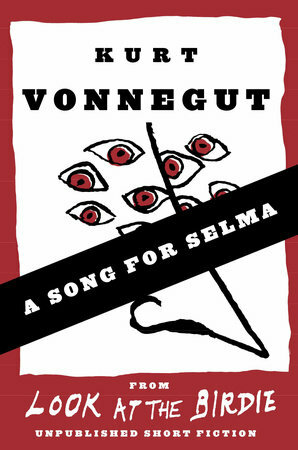 A Song for Selma and the thirteen other never-before-published pieces that comprise Look at the Birdie serve as an unexpected gift for devoted readers who thought that Kurt Vonnegut's unique voice had been stilled forever—and provide a terrific introduction to his short fiction for anyone who has yet to experience his genius.